I have been feeding Neeko and Bruce a full raw diet for nearly six years, and Faolan has been fed exclusively raw from the moment I adopted him 4.5 years ago. Neeko was about a year old, and Bruce 1.5 years old when I first made the transition to a raw diet for them. Faolan was about nine months old when I adopted him. My Rotten Dogs is a brand ambassador for Stella & Chewy's. 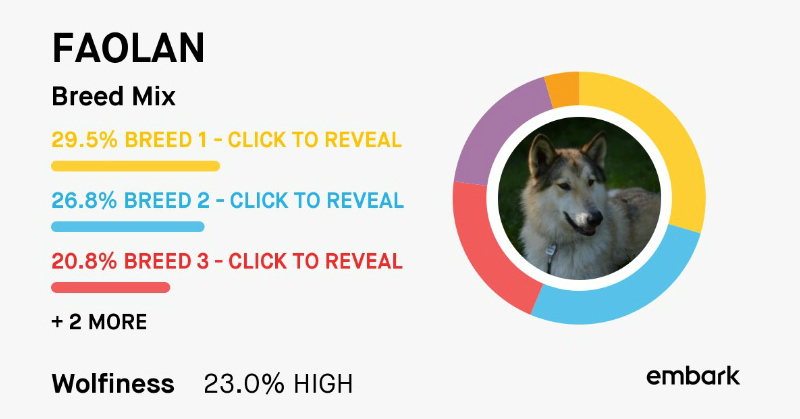 We only share information we feel is relevant to our readers. 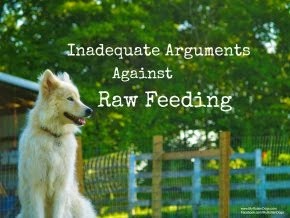 My initial raw feeding resolution many years ago came about because of a variety of reasons. I wanted to offer my dogs the best life possible. 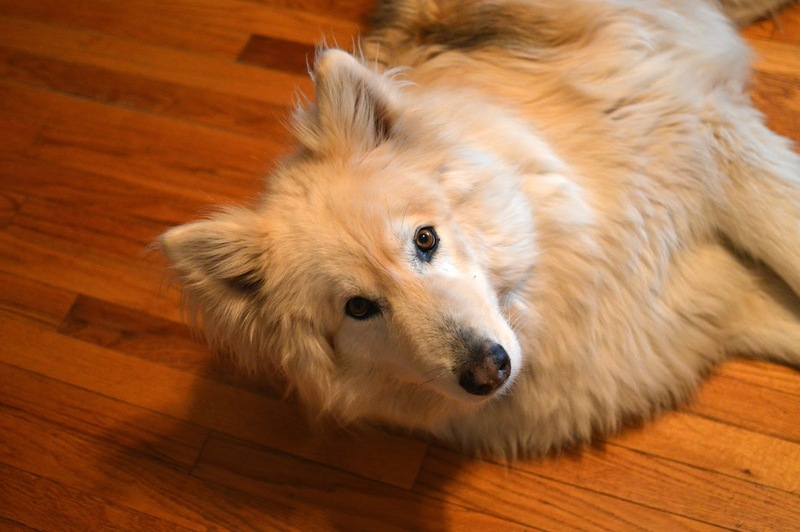 Neeko had chronic GI issues as a puppy and young dog, unrelieved by the most expensive and desired kibbles. Bruce had bald ears and was gangly. I took the plunge, and switched my dogs to a mostly homemade raw diet, and haven't looked back or had regrets since. Everyone, and every dog has different experiences with raw feeding. The changes I initially witnessed astounded me. Neeko, who regularly had unexplained diarrhea and couldn't keep weight, developed a healthy, iron gut, able to tolerate any food offered to her. Bruce's ears filled with fur, and he put on some needed muscle. Faolan's thin, stiff, poor coat became soft, thick, and lustrous. 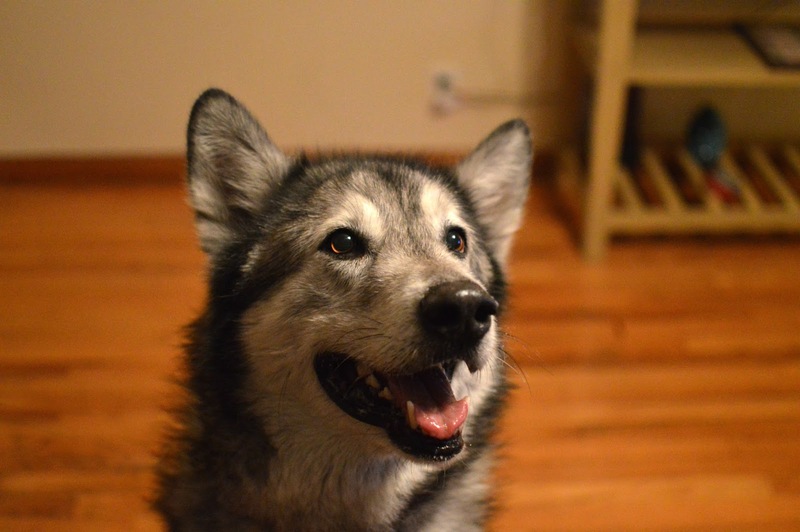 Neeko has bright eyes, a lovely coat, and a solid, healthy gut. The things I witness every day keep me feeding raw. My dogs are all healthy weights, with good, balanced energy. They don't stink. They don't shed as much. Faolan and Bruce haven't had baths in over four years. My dogs each see the vet exactly once a year, for a wellness visit. No illnesses or unexpected vet visits. Their teeth are clean and their breath doesn't have a smell at all. Clean teeth, no doggy breath, and well-furred ears. 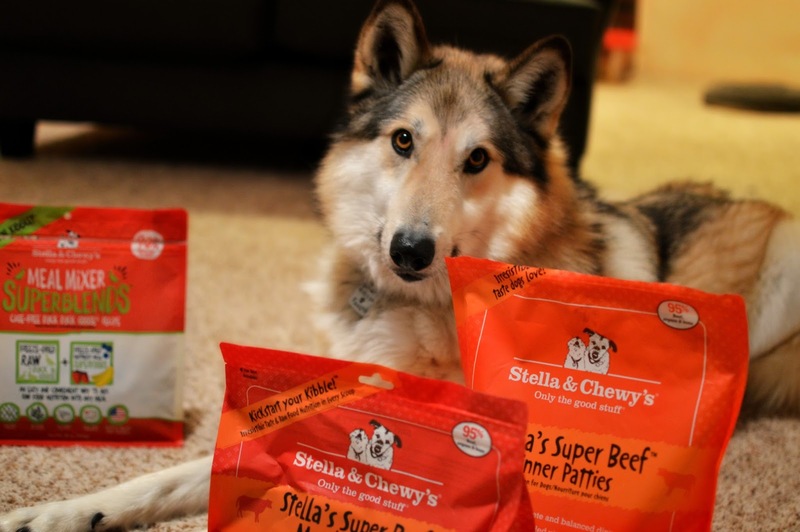 I feed a mostly homemade raw diet, but I love the convenience and ease of Stella & Chewy's freeze dried raw. It makes the perfect breakfast for my crew, who are fed twice daily. They are complete/balanced meals, so I don't have to worry about my meat/bone/organ ratios being correct when I feed them. Plus my dogs love the taste, and I love being able to offer them variety in their diet. I have recently made the resolution to incorporate more raw into my cats' diets. Cats are obligate carnivores, meaning they require meat protein in order to survive. 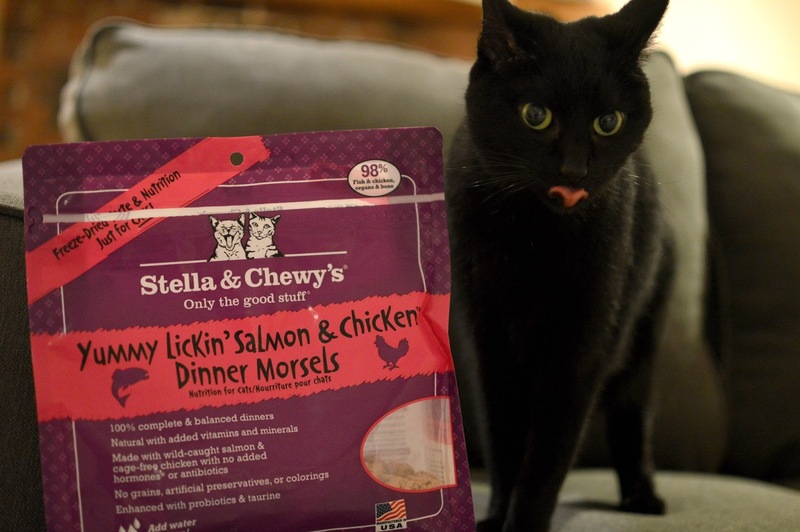 My cats are picky beasts, but are loving their Stella & Chewy's. I always encourage others to feed raw, even as a supplement to a kibble-based diet. Stella and Chewy's wants you to make a raw feeding resolution in 2017 for your pets! They are encouraging all to try raw or incorporate more raw into their pets' diets. Follow @stellaandchewys on Instagram for a chance to win a free bag of their food. For raw feeders share what you love most about feeding raw and encourage others to give raw a try. For those who’ve yet to try raw, share what has you most interested in giving raw a try or what your questions/concerns are. Be sure to include #RawFeedingResolution and #StellaAndChewys in your post. They will select posts from both groups of pet owners to receive a bag of their food. Contest ends on January 31, 2017. If you feed any raw, what benefits are most important to you? If you haven't tried raw but are interested, what are your concerns? Although I no longer feed my dogs Stella & Chewy's, it was a life saver when I was trying to find alternative proteins to introduce to their diet and when I wanted to improve my cats' diet. This is a great brand and the people behind Stella & Chewy's are amazing. What an awesome picture of one of your "picky beats" ;-) I've been feeding my two Boxer mixes a raw diet for almost two years now, and have experienced the same amazing health benefits you have. No doggie breath, clean teeth, baths have become a rarity, and their coats look and feel beautifully soft. I feed a mixture of BARF and Prey Model, but also use freeze-dried raw occasionally. The thing is that the health of our pets is most important for us. 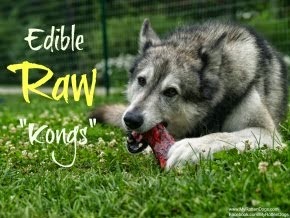 I have been feeding a raw diet for almost 6 months for my dog and having a great health benefits. With health, security is also necessary for pets, to more safety; we can design the pet drivers’ license id to keep them safe.